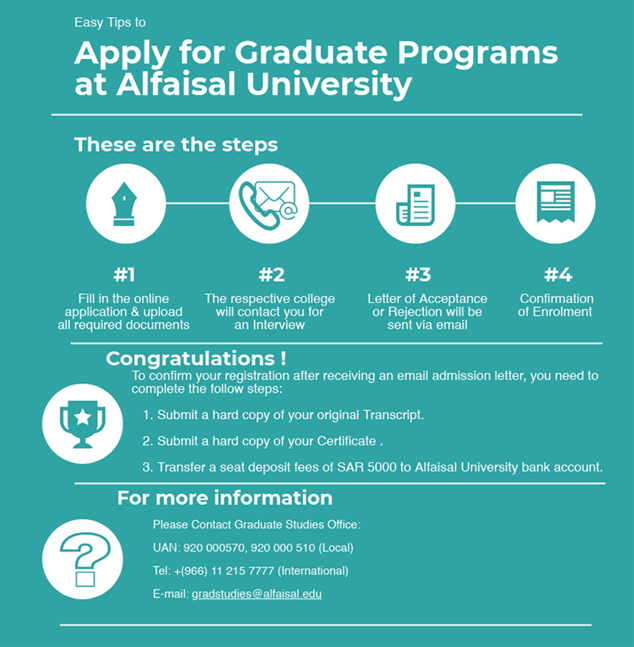 Total tuition fees for all masters programs at Alfaisal University are SAR 200,000. Students are allowed to repeat a maximum of 6 CH during their study without incurring extra fees. If students exceed the allowed CH, the normal CH rate will apply.